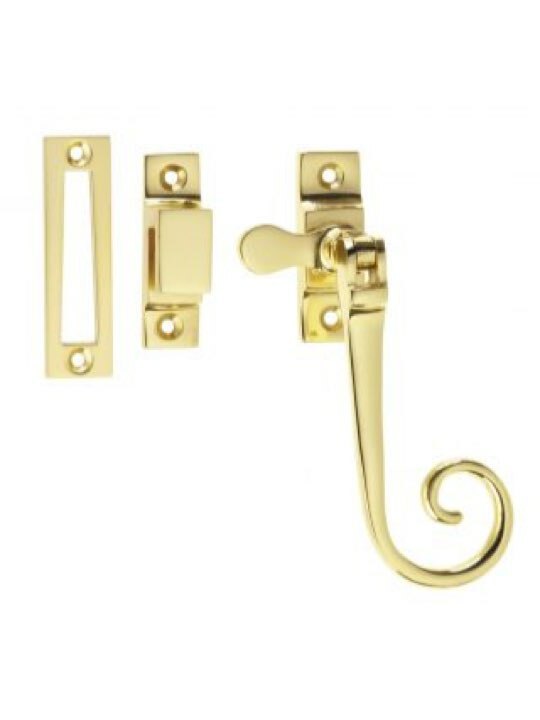 From Croft’s superb range of window fittings, the Croft Monkeytail Casement Fastener with Mortice Plate has been attractively designed in the classic Croft style. It comes in an incredible range of finishes which can be categorised as follows; brass finishes, applied finishes or bronze based finishes. There are a wide range of options within each category, so please contact our sales staff on 0141-429-5191 to specify your requirements in detail once you have placed an order. Hook Plate option is also available.